The Centers for Disease Control (CDC) recommends all persons over the age of 6 months who can be vaccinated, should receive a flu vaccine each flu season. Why do I need another flu vaccine? I got one last flu season! Viruses change, so the flu vaccine from last season may not protect you this flu season. The body’s immunity to influenza declines over time. I really hate shots, what about the flu mist vaccine? Unfortunately, there are concerns about the effectiveness of the nasal spray flu vaccine, and it is no longer recommended by the CDC. Remember, the vaccine doesn’t hurt as much as getting the flu. No, this is a myth. The virus in the flu vaccine is inactivated, and cannot reproduce itself to cause illness. Think of a flattened car at the junkyard – you know it’s a car, but it can’t work. With the flu vaccine, the body knows it’s a virus and to make antibodies against it, but the vaccine virus can’t work. What types of flu vaccines are available, and what is the cost? High-dose flu vaccine: For ages 65 and older, medicare will be billed. Why does the cost of flu vaccines vary? VNA Community Services (VNACS) offers the Quadrivalent flu vaccine because it offers broader protection against 4 strains of flu. Vaccines are administered only by experienced, professional Registered Nurses. The Trivalent flu vaccine is less expensive, but has limited protection only against 3 strains of flu- that is why VNACS does not offer it. The High-dose flu vaccine, which provides stronger immunity for ages 65 and up, protects against 3 strains. Can I bring my whole family to get a flu vaccine at one of your clinics? VNACS Registered Nurses will administer influenza vaccine to adults and children (two years and older with parental/guardian consent). Fridays, 9:00am-5:00pm in October through December. Schedule an appointment at our Ryan Ranch Immunization Clinic at 831-648-3777. I am always at work and never have time to get my flu vaccine. Ask your employer if they are willing to host a Corporate Flu Clinic where VNACS Registered Nurses come to you. According to the CDC, influenza costs businesses around $10 billion in employee health costs every year. 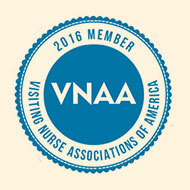 What other vaccines does VNA provide? Immunizations against vaccine preventable diseases including Shingles, Hepatitis, Meningitis, HPV, as well as those for international travel. 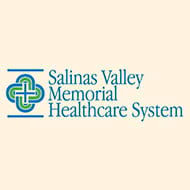 Contact the VNA at 831-648-3777 or visit our Travel Health and Immunization page. Our Flu Coordinator will get back to you within 3 business days. The CDC and the Monterey County Health Department websites have more information on influenza.